Creative Playhouse: Sensory Play: what's all the fuss about? Sensory Play: what's all the fuss about? If you frequent Pinterest, get updates from facebook pages, and/or navigate the endless blogosphere for play ideas for your baby, toddler or pre-schooler you will continually see the term 'Sensory Play'; everyone goes on about it and there are thousands of great ideas of how to incorporate into your child's activities. But why is sensory play so important? We absorb the world through all of our senses; we thrive and survive because our senses process our surroundings; enabling us to fulfil our basic needs, recognise danger, follow comfort, and find the things and people we enjoy (including our partners - for procreation!). From the minute we're born our senses are on high alert; smelling our mother's milk and skin, listening to familiar voices from Dad and siblings - if our senses dont process these ultimate comforts we are seriously unhappy and we let everyone know about it! And that ensures survival! Its vital to nurture and encourage sensory development nowadays, as we tend to live within an indoor and very sanitised environment so the natural sensory experiences of communal and outside living don't arise for our children. Sensory experience and play allows children to develop essential skills for living; dexterity, language, imagination and creativity, object manipulation, fine motor skills; it teaches about our world - gravity and binary opposition for example; and it can deeply encourage self-awareness - learning social boundaries, learning what feels pleasant, comforting, calming, or what we dont like. Sensory development is entirely essential for well rounded growth and development. 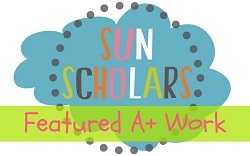 This article provides great insight into the importance of sensory play! 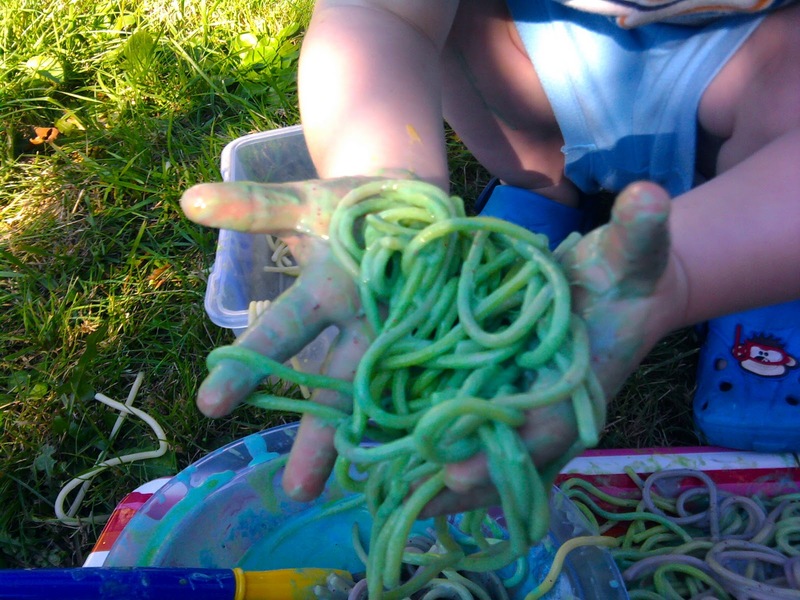 Here are all our Sensory Play ideas and of course there are lots more all over the internet. As usual The Imagination Tree has the best of the bunch! Happy playing! And please share your own ideas too!! What a great post about the importance of sensory play! I'll link up our sensory bottles! We love sensory play! Great reasons to have kids experience sensory play. Another good reason for sensory play is that helps build strong attachment to caregivers. Indeed! All about attachment in this house! great post, I didn't know what sensory play was when I started doing it with Goblin, I learnt the term later. Goblin loves it - I need to find more smell and sound activities though. Great post! My son is six years old and still enjoys playing in our rice box and searching for objects in our bean bin. 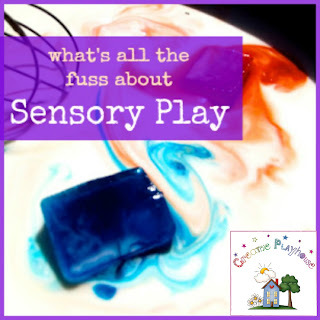 Sensory play is so important to little ones! My five year old loves sensory play. And well, so do I. Thank you for putting it's importance into words. 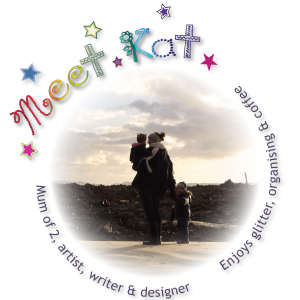 I've pinned! Thanks for all your comments! We love sensory play in our house and as soon as the tray comes out the children are up at the table like a shot! thank you for linking up! Love the sensory wall mosaic art!!!! Very true!! Seeing all of this sensory posts has truly made me think about doing more for my kiddos... thank you for the reminder of it's importance. :-) glad you liked it, thanks for commenting! Glad you wrote this. I think people know it's important but aren't sure why! Great post...i love sensory play with my twins...the messier the better too! 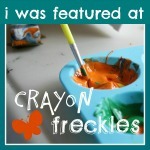 So glad i started it early as i think it has helped with one of my twins sensory issues which are now coming to light. Such an important part of childhood...thanks for sharing your thoughts! What a great explanation about how important sensory play is! My son never wanted to touch anything with odd textures...especially grass. Now that we've been exploring sensory tubs he's getting so much braver! :) Visiting from the KBN share! Sensory play has always been my son's favourite type of play. This is such a fantastic explanation of its benefits. Thank you for your kind comment!